26 November 2014 - Once has never, ever been enough. 3 April 2014 - Once, twice three times a winner! 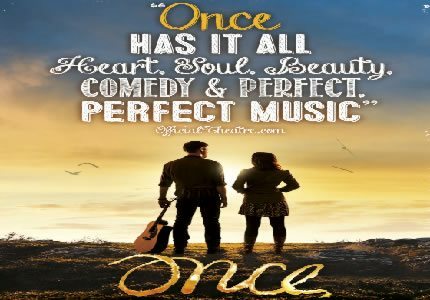 Once the Musical is a stage adaptation of the Academy Award winning Irish film of the same name. The show originally premiered in New York and soon transferred to Broadway, bagging itself 8 Tony Awards including the award for Best Musical. The 2012 Broadway cast recording of the show has also won a Grammy Award for Best Musical Theatre Album. 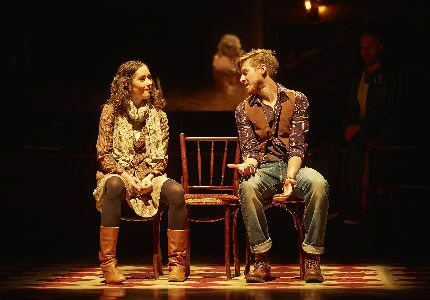 Set in Dublin, the musical tells the tale of a “Guy” and a “Girl. Guy is a vacuum cleaner repair man by day and a musician by night. Girl is a woman originally from the Czach Republic who is now living in Ireland. Guy sings songs of unrequited love in a traditional Irish pub and, having listened to and connected with his music, Girl approaches Guy to find out more about him. Discovering that the pair share a passion and talent for music, they start singing together. The Girl entices Guy to fix her supposedly broken hoover and it becomes clear that the couple are very attracted to one another. However the course of true love never does run smooth and this is certainly the case in Once. Whilst the pair fall for one another, ex girlfriends, husbands and children stand in the way. 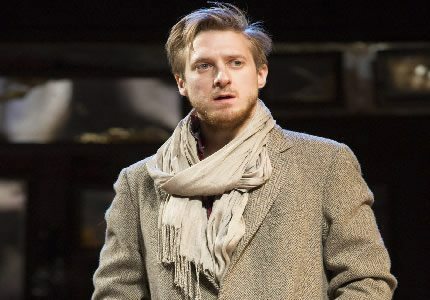 Based on a true story, the songs of the show were written by the real life Guy and Girl ,Glen Hansard and Markéta Irglová. 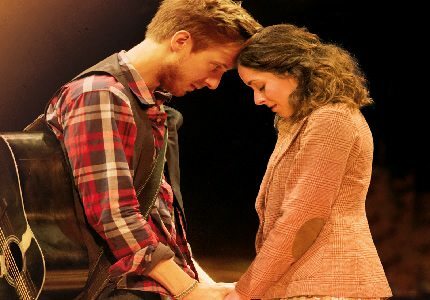 The score of the show is entirely original and songs include “Falling Slowly,” “The Moon,” “Broken Hearted Hoover Fixer Sucker Guy,” “Gold,” and “The Hill.” Songs vary between being heartbreakingly beautiful to upbeat and at times funny. 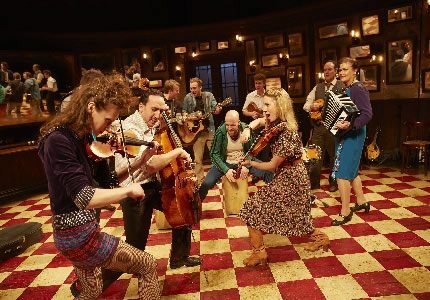 The set focuses heavily on an Irish pub and, as to appear true to life, drinks are served to the public on stage before the show and during the interval. The show deals with a small degree of adult content, but nothing too offensive. Children over the age of 8 who love live music will enjoy the show. Children under the age of 5 will not be admitted into the Phoenix Theatre.